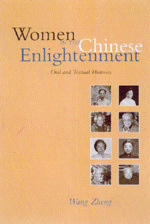 Centering on five life stories by Chinese women activists born just after the turn of this century, this first history of Chinese May Fourth feminism disrupts the Chinese Communist Party's master narrative of Chinese women's liberation, reconfigures the history of the Chinese Enlightenment from a gender perspective, and addresses the question of how feminism engendered social change cross-culturally. In this multilayered book, the first-person narratives are complemented by a history of the discursive process and the author's sophisticated intertextual readings. Together, the parts form a fascinating historical portrait of how educated Chinese men and women actively deployed and appropriated ideologies from the West in their pursuit of national salvation and self-emancipation. As Wang demonstrates, feminism was embraced by men as instrumental to China's modernity and by women as pointing to a new way of life. Wang Zheng is an Affiliated Scholar at the Institute for Research on Women and Gender at Stanford University. Wang's work in English includes the coediting of From the Soil: The Foundations of Chinese Society by Fei Xiaotong (California, 1992).